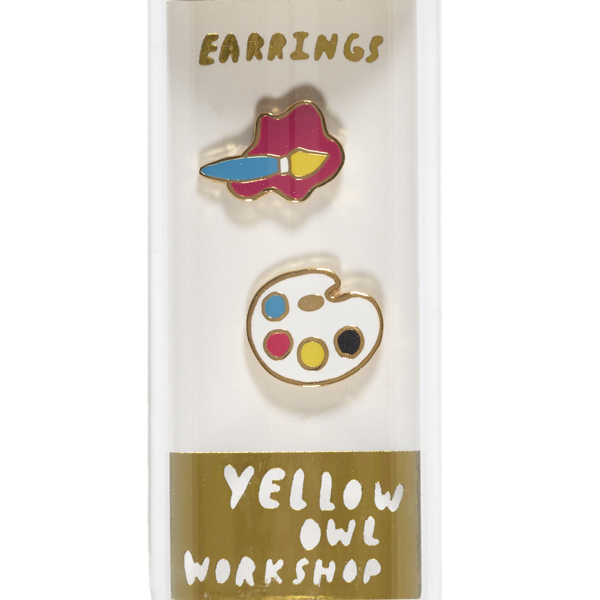 Perfect for the artist in your life, these charming earrings feature a paintbrush with splash of paint paired with a palette. 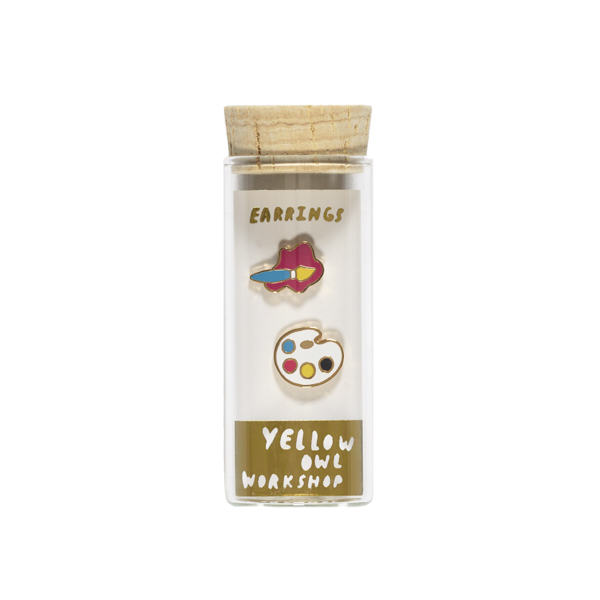 Presented in Yellow Owl Workshop's trademark glass vial packaging these unique earrings blend a sense of gold glamour with a charming twist. The mismatched yet perfectly paired cloisonné petite studs are gilded in 22 karat gold and have hypoallergenic posts. Made by Yellow Owl Workshop in San Francisco. Be the colourful one in the room with this stunning silver palette brooch. These earrings are arrayed with some jaunty pigments to bring colour to any outfit.